Date: Nov. 12 (Sunday) 10:00 a.m. - 4:00 p.m.
- Individuals or companies that manufacture, sell, and distribute foods, products, and eco-friendly upcycling products, which can meet stringent vegan standards. 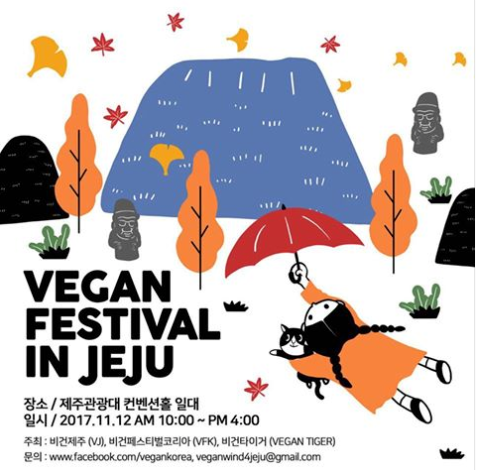 -Willingness to take part in vegan festival agreeing to its purpose on the event day. Facilities available: one table (180 * 90), two chairs, tents and the shade of a tree for each seller. * This event is a non-profit event and all members of the organizing group are made up of volunteers.